Let's begin by imagining the sitting Secretary of State in a Republican administration accepting million dollar donations to the family's private foundation from foreign governments with pending business deals subject to State Department approval. 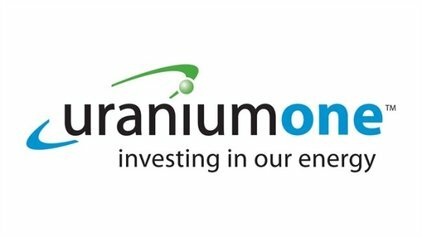 In the most mind-blowing of many examples of this practice under the current White House occupant, the Secretary of State approved the takeover by the Russian atomic energy agency of a Canadian uranium mining group, resulting in Russian control of one-fifth of all uranium production capacity in the United States. If that reality were not disturbing enough by itself, the State Department approval of this transaction coincided with the flow of millions of dollars in cash from the deal's beneficiaries into the private slush fund....I mean, foundation...of the Secretary's family. The CEO of the uranium company in question conveniently used his own family foundation to funnel $2.35 million into the Secretary's foundation. The Secretary didn't disclose to the White House these and many other donations, despite having promised to do so. And shortly after the Russians agreed to take over the uranium company, the husband of the U.S. Secretary of State gave a speech to the Russian investment bank that was promoting the newly-acquired company's stock. He got $500,000 for the speech...but let's be honest...he's a really good speaker. There have been several other shady deals in which the flows of cash from foreign governments just happened to coincide with important decisions being made by the Secretary. The details are enough to fill a book...and they have...but the point here is that the media coverage of these shenanigans was perfunctory at best. The New York Times had a well-done piece on the uranium company affair, but pulls most every punch by warning that we can't just jump to conclusions. "Whether the donations played any role in the approval of the uranium deal is unknown." Sure it is. As to the Secretary's behavior, the Times allows that this "episode underscores the special ethical challenges presented" by the foundation. Indeed. Not sure what all this looks like to you. But I've always thought that exploiting political power in order to amass great personal wealth was pretty much the definition of public corruption. And I'm just guessing that if the D's were switched to R's, it would be, to paraphrase Joe Biden, much more of a BFD. We all know how seriously the media takes claims that the government alters intelligence reports in an attempt to justify a President's preferred narrative on some military engagement or another, right? We're still hearing about how Bush did it, despite the conclusions of no less than four separate investigations that he did no such thing. In September of last year, however, we heard from more than 50 actual U.S. government intelligence analysts that the current administration had done exactly that...and it caused barely a blip in the national consciousness. More than 50 intelligence analysts working out of the U.S. military's Central Command have formally complained that their reports on ISIS and al Qaeda's branch in Syria were being inappropriately altered by senior officials, The Daily Beast has learned. The complaints spurred the Pentagon's inspector general to open an investigation into the alleged manipulation of intelligence. The fact that so many people complained suggests there are deep-rooted, systemic problems in how the U.S. military command charged with the war against the self-proclaimed Islamic State assesses intelligence. "The cancer was within the senior level of the intelligence command," one defense official said. Two senior analysts at CENTCOM signed a written complaint sent to the Defense Department inspector general in July alleging that the reports, some of which were briefed to President Obama, portrayed the terror groups as weaker than the analysts believe they are. The reports were changed by CENTCOM higher-ups to adhere to the administration's public line that the U.S. is winning the battle against ISIS and al Nusra, al Qaeda's branch in Syria, the analysts claim. The Daily Mail followed up on the Daily Beast story..and The New York Times reported it too, but c'mon. That was many months ago. I missed it completely at the time, and since then...precious little on it anywhere. With the White House in GOP hands, this would be wall-to-wall stuff for MSNBC. Finally the media would have a real "cooked intelligence" story. Dozens of career intelligence professionals making formal claims of having their considered judgments about the strengths of our nations enemies and assessments of our President's middle east military involvements altered to suit the successful war narrative the President was selling to the people. Can you say field day? Then just last week came a follow-up story, also from The Daily Beast, that now two senior CENTCOM intelligence analysts have been forced out of their jobs because their reports were at odds with the company line regarding the strength of the U.S.-backed Syrian rebel forces. It would appear that this latest move owes more to the embarrassment of the top military brass than anything else, because the skepticism of the terminated analysts about the rebel training program has been proven spot on, as the utter failure of the program has become widely known. If some semblance of media balance were at work today, we might see this story covered with a small fraction of the the media feeding frenzy of a decade ago, when cooked intelligence stories were being spouted in the absence of any evidence. But I'm dreamin'. 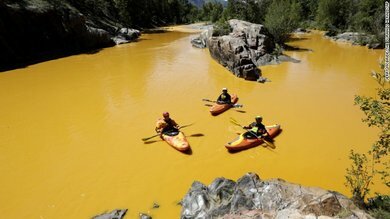 A state of emergency is declared after the Environmental Protection Agency's cleanup crew accidentally released 3 million gallons of toxic mine waste into the Animas River in Colorado, turning the river yellow in color. The images from the scene were shocking. The predicted dire impacts of the long term presence of heavy metals including lead and mercury were even more so. And it was a huge national news story for...approximately ten minutes. Call me a wild-eyed conspiracy theorist, but I'm guessing if there had been a, shall we say, less committed environmentalist GOPer in the White House, this would have been Three Mile Island and Love Canal rolled together. The "Yellow River Truther" stories would write themselves. Does anyone think the national and international Green movements would not have mobilized in outrage and demanded accountability from the EPA by way of resignations or firings? As it stands though, there have been no protests...no demonstrations...not even any virtue-signaling hashtags. It's pretty much crickets from the media since August. Then again, the EPA is busy with the project of destroying the industry currently providing over one third of the nation's electricity. U.S Military attack in Afghanistan takes out Doctors Without Borders hospital, killing 19 including 3 children. KABUL--A U.S. airstrike in the Afghan city of Kunduz killed at least 19 people at a hospital run by international medical-aid organization Doctors Without Borders early Saturday, prompting condemnation from humanitarian groups and the United Nations. The organization said 12 Afghan staff members and at least seven patients, among them three children, were killed when its trauma center was hit several times during what it described as a sustained bombing that began shortly after 2 a.m. An additional 37 people, including patients and medical staff, were wounded. All international staff members are alive and uninjured, it said. Horrible. And of course, any president would have had to formally apologize, as ours did, for accidentally inflicting this tragedy. The DWB group is asking for an independent investigation, but the story is largely gone as a national news concern here. It was reported in most media organs on October 3. It's no surprise a mainstream media that has barely a word to say about an administration that has conducted 90% of all secret drone missile strikes in the history of mankind, with thousands of innocent casualties, would shrug their collective shoulders over a mere accidental hospital bombing. I'm just doing a little thought experiment about how they might have treated a Republican presiding over a similar tragedy. An agency of the federal government...in this case, part of the executive branch...is beset by a number of scandals, and its leadership is unhappy that a member of Congress, who is chartered with performing oversight of said agency, is doing his job. The agency in question is the Secret Service, and a bit of congressional oversight was hardly uncalled for, after recent revelations about agents whoring in Columbia and driving drunk on White House grounds, among other things. Not least among those other things has been their seeming incompetence at their most fundamental duty, the protection of the President. You'd expect a bit more attention would be paid by our tireless watchdog media when the agency's Assistant Director was found to have emailed his assistant that, in regards to Rep. Jason Chaffetz, "Some information that he might find embarrassing needs to get out". Chaffetz's personal government records were accessed by as many as 45 Secret Service agents, and their contents shared widely inside the agency. Set aside for a moment the illegality of accessing personal database records that are required by law to remain private, a federal crime of fraud, which is punishable by 10 years in prison. When a common citizen engages in intimidation tactics such as these, law enforcement uses words like extortion...or blackmail...and they are felonies too. To review then: A top official of a federal executive branch agency tries to, at best, intimidate, and at worst, blackmail a sitting congressman charged with investigating the agency's misconduct. The Washington Post covered the story briefly in September, but generally speaking, the media yawned. In the aftermath (you remember hearing all about the aftermath, right?) the agency director issued a contrite apology, and assured the nation that heads would roll. Just kidding. He didn't really say that. He said the agents involved would be disciplined with 3 to 12 day suspensions. That's right. No firings...let alone prosecutions. These are federal employees after all...not, you know, a crime syndicate. And all you need to do is imagine the head of the Executive Branch as a Republican, and the Congressman at issue as a Democrat, and the question of whether the media approach might have been different answers itself. To review the history of the current administration and remark, as David Brooks did recently, that it has been "remarkably scandal-free", requires a set of heavy-duty blinders. One must glide over the abuses of power by the IRS, the deceptions of the public on the Benghazi affair, the criminally stupid Fast and Furious program, the Pigford fraud, abuses at the Veterans Administration, and the hacking of the OPM database. Overlooking the kinds of bureaucratic incompetence that spends billions on a non-functioning website, or half a billion on a venture like Solyndra that enriched a White House-favored bundler, but soaked the taxpayers, requires yet more willful blindness. One assumes that if a Republican ever again occupies the White House, the media will once again assume its traditional role as intrepid watchdog of the public interest...speaker of truth to power...and advocate for transparency and government accountability.